Matt Raible is a web developer, Java Champion, and developer advocate @oktadev with a passion for skiing, mountain biking, classic VWs, and good . He drives a '66 21-window and a '90 Syncro Westy. He's made in Montana and resides in Centennial, Colorado with his fabulous family. The JHipster Mini-Book is a guide to getting started with hip technologies today: Angular, Bootstrap and Spring Boot. All of these frameworks are wrapped up in an easy-to-use project called JHipster. JHipster is a development platform to generate, develop and deploy Spring Boot + Angular (or React) web applications and microservices. This book shows you how to build an app with JHipster, and guides you through the plethora of tools, techniques, and options you can use. Furthermore, it explains the UI and API building blocks so you understand the underpinnings of your great application. 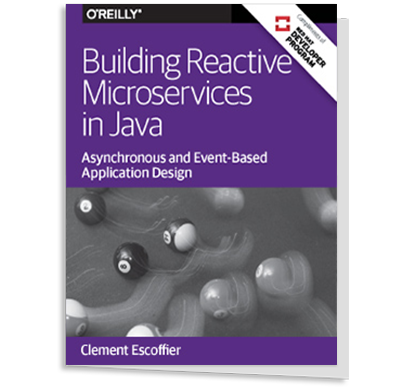 It also shows you how to use Docker Compose and deploy your microservices to Heroku. The latest edition (v5.0) is updated for JHipster 5. This edition includes new sections on progressive web apps (PWA), code quality, and securing user data. 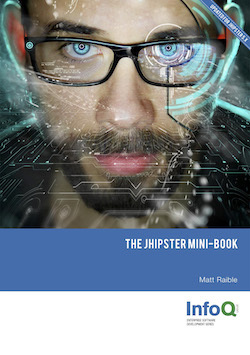 Here is the blog for the JHipster Mini-Book and you can also follow it on Twitter. To provide free information to the JHipster community. I've used many of the frameworks that JHipster supports and I like how it integrates them. I think building web and mobile applications with Angular, Bootstrap and Spring Boot is a great experience and I'd like to encourage more developers to try it.